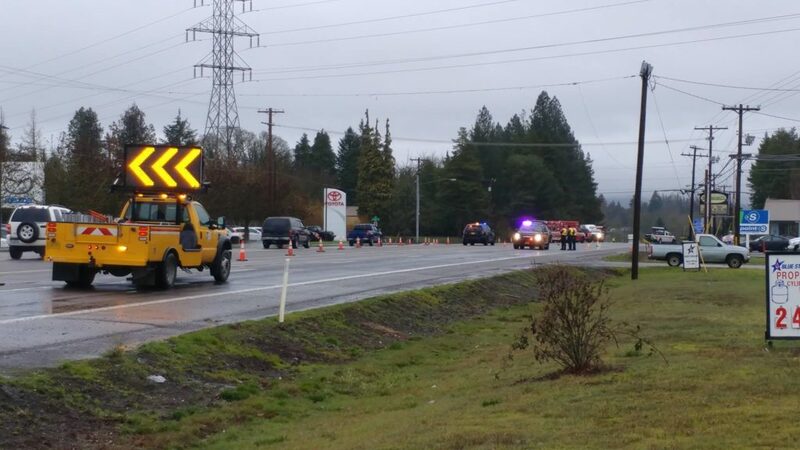 (updated, Feb 13, 2019) McMinnville police have not released the name of the man killed when hit by a pickup truck on highway 99w Monday morning at 7am. Captain Rhonda Jaasko of the McMinnville Police Department says the reconstruction is still underway and declines to give any further information. Traffic was flagged around the accident scene for more than two hours after the accident and it will opened to full traffic flow around 9:30am. On 2/11/2019 at about 7:00 a.m. McMinnville Police responded to an auto versus pedestrian crash near 3170 N Hwy 99W, McMinnville Oregon. When officers arrived citizens were trying to revive a 47 year old man from the McMinnville area. Medics arrived two minutes later but were unable to revive the man, who was pronounced deceased at the scene.